What caused the collapse of Atnarko Sockeye and what can be done to reverse it? Sockeye returning to the Atnarko River watershed supported Nuxalk First Nation food and social fisheries for millennia and commercial harvests in excess of 30,000 fish through the 1990s. However, beginning in the late 1990s, Atnarko Sockeye collapsed and the abundance of spawners has remained severely depressed (~2,500) ever since. The decline of Atnarko Sockeye, and their failure to recover, has led to cultural and economic hardship for the Nuxalk and impacts to non-First Nation communities that historically benefitted from their harvest. There is clearly an urgent need for conservation and management intervention, but the cause of the collapse of Atnarko Sockeye has remained enigmatic. 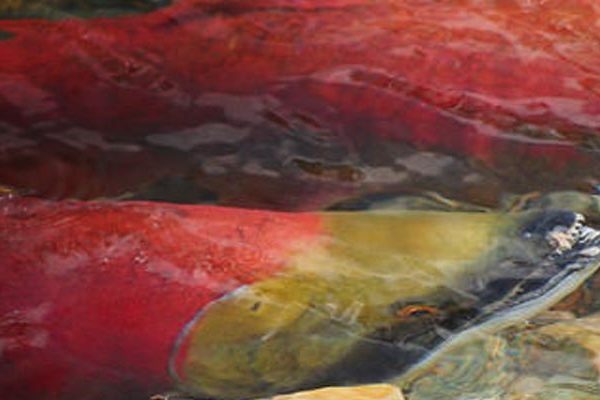 Over the winter of 2015 we led a team of scientists and managers from the Nuxalk Nation, Fisheries and Oceans Canada and local conservation organizations, through the structured review of available data, identification of factors potentially limiting Atnarko Sockeye survival and prioritization of actions to promote recovery. We also held a Nuxalk food fisher workshop to understand how Nuxalk food fisheries have changed in response to the Atnarko Sockeye decline. The result of our efforts was captured in a recovery plan that examined the strength of evidence for potential causes of the Atnarko Sockeye decline and suggested actions to promote their recovery. Assess freshwater habitats and restore them where needed. Study ways to improve how local hatchery releases might strengthen the natural population while minimizing the potential for adverse unintended consequences. Further study and mitigate, if needed, incidental catches of Atnarko Sockeye in commercial fisheries on the central coast of British Columbia. Our plan cautions that the feasibility of recovery likely depends in part on marine conditions. The ocean is rapidly changing due to global warming, which might affect the survival and growth of Sockeye, especially juveniles. While we cannot tackle global warming on our own, the recovery activities we identified aim to reduce overall stresses on Atnarko Sockeye and should improve their prospects for recovery.